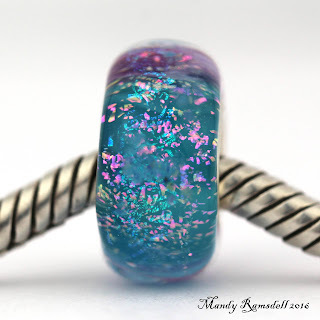 A while ago I was making a bead and had a beautiful aqua base covered in dichroic glass ready to become an encased flower garden bead. Before I could add leaves and vines, the bead release broke. So I stuck the mandrel in a jar and tried again with a new one. 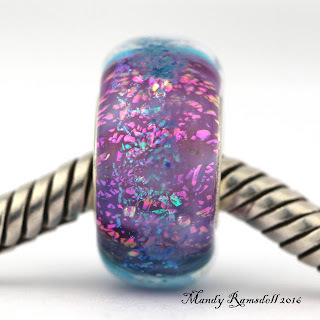 Later when I was removing the failed bead from the mandrel I noticed how pretty it was. It was a freeform shape because I had just finished the stage where I pressed the dichroic glass into the base bead and had not shaped it when it broke. 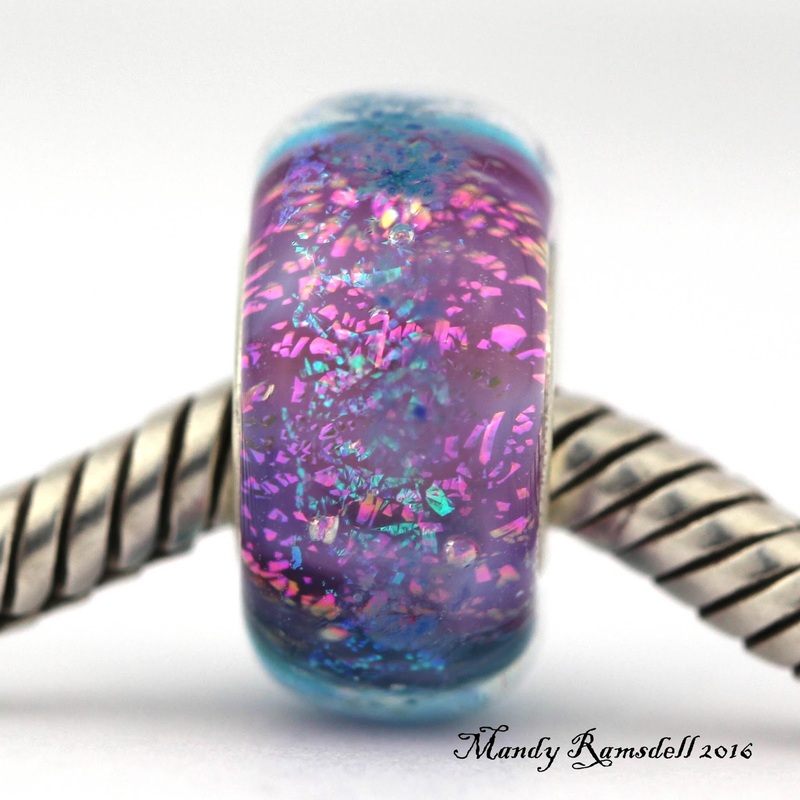 The bead was so pretty that I put a silver core in it and kept it for myself. 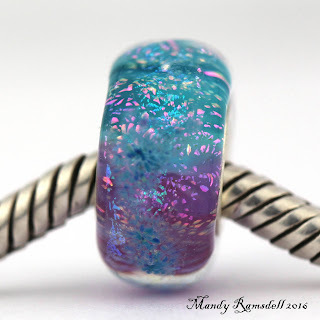 It became one of the beads I always reached for first when I redid my trollbeads bracelet. And so that bead inspired my “Worry Stone” series. To these I added a second layer of dichroic glass, some encasing and a touch of enamel flecks on the surface to give the beads a stone like look. They are then shaped to be mostly round but slightly freeformed like worry stones. The latest version of my “Worry Stone” beads is the color change version. These beads are made half one color and half another, so that the color changes as the bead turns on the bracelet. Using these in your bracelet designs will result in a bracelet that is never quite the same each time you glance at it. Here are three photos of the same bead. 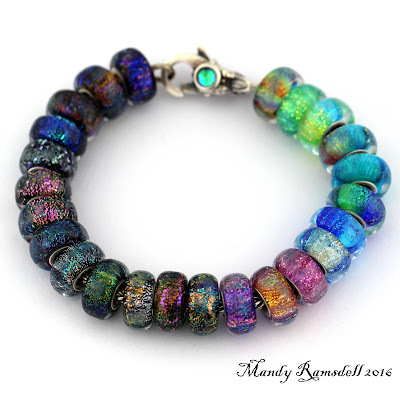 This entry was posted in Uncategorized and tagged charm beads, color change beads, color change jewelry, dichroic glass, fits pandora beads, glass art, handmade beads, jewelry, lampwork beads, Mandy Ramsdell, trollbeads, worry stone beads, worry stones on February 13, 2016 by Mandy Ramsdell.